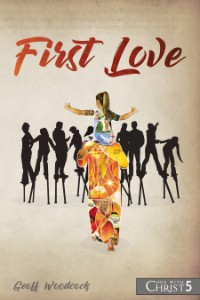 First Love – Book 5 – Now Released! 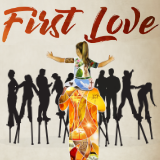 After five years in the writing, I am thrilled to say that First Love is now available. Those people who have read the previous four books will notice a change in the feel and focus of the writing. The first four were written to provide a foundation for this book (and the one following). In First Love the focus now moves from learning about God to encountering Him. With this aim, each chapter is followed by some prompts and reflections, designed to inspire you to engage with God. Rather than a book that you can read in a day, First Love is designed as more of a daily devotional. People who have done the reflections have given us some amazing feedback. With just a little bit of help and direction, people have had awesome, life-changing encounters with God. They are falling deeper in love with Jesus and learning what it means to become one with Christ. From a writer’s perspective, this is far more than I ever could have hoped for. It makes every minute of writing, every sacrifice over the years, more than worthwhile. My wife and I live to see people fall in love with Jesus, and this kind of feedback brings us incredible joy. We would love to hear your feedback as well. May God meet you where you are, flood you with His love, and take you into the depths of your inheritance–becoming one with Him. God created us to find life in loving Him, hearing His voice and living in union with Him. This is our design. But how do we love God? How can we hear His voice? And what does it mean to live in union with Him? This book is written as a devotional to help you to encounter the Living God in a powerful way. It is written to help you love Him more deeply, hear His voice more clearly, and to grow in your unity with Jesus. If you are hungry to experience more of God and His awesome love, this book is for you.